These days it seems the UK government has nothing on its mind except for taxes, the news is full of tax related issues- be it the onset of new taxes, or tax mistakes such as the HMRC internal error that has led to much tax confusion and millions of people facing requests for unpaid tax. Lately the government has been issuing a battle cry against so-called ‘tax-avoiders’ and we recently learned about the taxman's intrusive new powers that allow tax inspectors to go through an individual’s personal documents without any warning. Some reports have even suggested that hardworking professionals may be subjected to lie detector tests just to see if they are not withholding any information. It’s news like this that has brought criticism onto the UK government, whilst it is acceptable to chase the few people who do illegally dodge tax, chasing genuine tax payers gives an impression of heavy-handedness, and HMRC has been accused of confusing the line between tax evasion and tax reduction. Tax evasion is illegal, tax reduction is not. The former involves lying to the government, withholding important information and in some cases hiding illegal money. The latter on the other hand is perfectly legal and simply involves careful financial planning that ensures you only pay the exact amount of tax you owe. Indeed for people with families to care for, and with a more expensive way of life imminent in the shape of increased VAT and National Insurance, inflation and high tax brackets, why should we pay more than we exactly owe? Let us look at a few ways that can help minimise your tax bill. With all the confusion surrounding tax codes at HMRC your first port of call should be to make sure that your tax code is correct. The blunder at HRMC has led to people either underpaying or overpaying, and even if you have not received a notice regarding this it’s worth making sure you have the correct code. If you are married or with a family you should examine the allowances and tax reliefs that are available. It is possible to pay less tax in areas such as rent, dividends and savings interest if you put shares, investment funds, bank accounts and jointly owned property into the name of the partner paying the lower rate of tax. This also applies to capital gains and property, by jointly owning shares or property you will be able to take advantage of both your CGT allowances, thus effectively doubling it. If you are self employed then you should always be aware of the allowances that can be claimed, especially if you work from home. Things like heating, lighting and repairs can all feasibly be claimed as costs. There is also the option of offshore banking. Offshore banking is perfect if you are working abroad, or plan to do so in the near future. By moving your finances into an offshore facility you can legitimately avoid UK taxes, provided you become a non-resident. 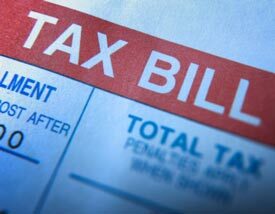 In short here are a number of ways you can legitimately lower your tax bill, and you should be free to do so without fear of action from HMRC. Learn more about the options that are available to you by speaking to an approved IFA.